Today I’m continuing my trend of occasionally diverging from Beatle-centric material to discuss the recent release of The Getaway, the 11th studio album by what is probably my second favorite band of all time, Red Hot Chili Peppers. This album has reaffirmed my belief that they are actually underrated by the general population for the incredible creativity and musicality of their catalog. They’re not just a funk-alternative-rock hybrid that sings “Under The Bridge” a lot, they are a genius musical conglomeration that has blessed the world with many, many awesome songs. Speaking of awesome songs, this album is absolutely full of them! The Red Hot Chili Peppers strayed from their usual producer, Rick Rubin, on The Getaway, choosing to work instead with popular producer Danger Mouse. I’m not hugely up on music producers and their individual styles, but I do think that the change in producers is evident in this album’s more polished, modern sound. Some devoted fans of RHCP have complained about this, presumably longing for the days of yore when RHCP jumped all around the stage and wore nothing but socks during their concerts. However, perhaps unsurprisingly, I am always a champion of a band’s musical evolution if I feel that they are still staying true to their musical roots. As good an album as Californication is, it really would be tedious if RHCP released six albums exactly like it. In my mind, there’s a distinct difference between a band evolving their sound and a band “selling out” with pop drivel. The Getaway certainly represents the former for RHCP; it features just enough experimentation that is well-balanced with more straightforward songs, and to me, it all sounds like the signature Chili Peppers that I love so dearly. To give my more specific opinions on the album, I’m going to do a quick song-by-song rundown! Here we go! The Getaway– This is definitely one of the less rock-sounding songs on the album, but I love the scattered guitar work in the beginning, and it has a well-deserved place among the RHCP canon as a soothing, mellow track. Dark Necessities– I feel that the album version could benefit strongly from a more prominent guitar part. However, it is a fantastic song with an addicting base line, and I absolutely love the guitar solo break near the end! We Turn Red– This song didn’t stick out to me upon my initial listening of the album, but it certainly is funky and has interesting lyrics. I’ll have to listen to it some more to truly get into it, I think. The Longest Wave– THIS, my friends, is I believe the best song on the album! From the guitar introduction, to the soft verses, to the majestic chorus, I am obsessed with listening to this song on repeat. Ride the wave, because this song should become a RHCP classic if there’s any justice in this world. Goodbye Angels– This song really rocks, I love it!!! One of my favorites on the album as well, it builds beautifully and the guitar slashes throughout the song will get stuck in your head. Also that guitar break near the end is just brilliant. Sick Love– Important to note that this song features the one and only Sir Elton John! It’s interesting and honestly I think I’d prefer it as a classic Elton John song than a RHCP song, but I appreciate it nonetheless. Go Robot– Wow, there’s not one but TWO bass parts on this song! I think it sounds better as a live version, as the album version sounds a little overproduced even within the context of this album. Still, it’s extremely catchy and should be a single soon, I’d love to hear it on the radio! Feasting on the Flowers– I love the breezy guitar style throughout this song. I don’t have a ton to say about it honestly, but it’s not a bad song at all. Detroit– This song rocks pretty hard while still fitting in to the Chili Peppers’ more modern musical style. Again, the guitar here definitely drives the song and keeps it fun! This Ticonderoga– This awesome song weaves back and forth between two very musically distinct parts, though I do think the two sections are a little randomly put together. Still, the song’s internal diversity is a new, interesting musical step for the Chili Peppers. Encore– My other favorite song on the album!! It’s much more mellow alternative than the Chili Peppers commonly go, but the guitar is hypnotic and addicting. I actually like its verses better than the chorus, which is unusual for me, but the driving, sort of poppy beat here actually works really well as a constant thread throughout the song. The Hunter– This song is honestly a little slow for me and drags a bit to be a favorite of mine, but if you’re in the mood for a much slower Chili Peppers song, this one has a lovely airy guitar part. Dreams of a Samurai– This is probably the most overtly experimental song on The Getaway, but upon multiple listens, it’s quite a fascinating song and a grand, inspiring closing gesture on this amazing album. One thing I love about this album as a whole is how it features their current guitarist, Josh Klinghoffer, much more prominently than did the previous Chili Peppers album, I’m With You. The aforementioned album was his first as an official member of the band, but his contribution to RHCP truly blossoms on The Getaway with the increased guitar presence and his lush backing vocals and harmonies. I’ve seen a lot of Josh-bashing on RHCP videos by overly nostalgic RHCP fans, but I think he’s a fantastic musician with a lot to offer for the Chili Peppers. I can’t wait to see what he’ll bring to the table for future RHCP albums! So in conclusion, I love this album and I’ve been listening/harmonizing to it a lot this summer. With each listen, I continue to notice just how many diverse and interesting sounds there are on this album. For someone who enjoys unpacking individual elements of songs as they listen to them, this album is definitely for you. I’m so excited by its presence in my life, and I am keeping my fingers crossed that the Red Hot Chili Peppers tour the US soon to promote it! They are #1 on my current bucket list of concerts to see, and I have every faith that if/when I see them live, I will be transported on a musical getaway. I saw this and it made me chuckle for about five minutes. It’s a gem. Well, hello everyone! As you may be able to tell from the title, I realize that I have not posted in approximately 11 months. That is a travesty. I can’t pretend like there’s a valid excuse for this either, other than the old “life getting in the way” excuse. All I can really say is that I’m in college now and obviously busy doing various things, but a couple of very nice comments left recently on this blog reminded me just how much I really enjoy blogging. So, I’m back in action! First, a couple of things that have happened recently in the Beatle-verse. I was ecstatic to go onto YouTube a while back and see that the Beatles YouTube channel has actually started uploading some old Beatles music videos, like Revolution and Hello Goodbye, in HD! I honestly forgot they even had a legitimate YouTube channel, but it should really be updated more frequently because there is a lot of quality Beatles footage that deserves the HD treatment. Seeing the Sgt. Pepper suits in all their high definition glory is enough to make this worthwhile. While re-watching some old Beatles music video-prototypes, I am reminded yet again of how innovative and forward-thinking the Beatles really were. Their early “promotional videos” with songs like Help and I Feel Fine may seem archaic now, but they really were some of the first music videos in popular music. When I watch music videos today, like “Hello” by Adele for example, that get upwards of 500 million views, it makes me wonder how many views the Beatles’ videos would get if they were released on YouTube or Vevo today. With their immense fandom in the 1960s, I’d imagine that they might get a comparable amount of views to modern musicians like Adele. Funny to find connections between the Beatles and musicians today yet again. Also can I just say that I am so happy Adele is back and better than ever! I’m in love with her new album and she is a breath of fresh air on the radio. In other news, with all of the recent terrorist attacks in Paris and Beirut and even the shooting that occurred today in California, I find myself wondering naively why people can’t just channel their anger into avenues other than killing people. 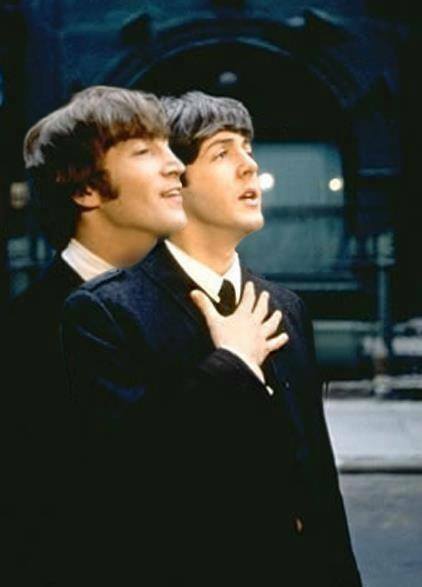 There are so many Beatles songs that advocate for peace and understanding, like All You Need Is Love and Good Day Sunshine, and it makes me sad that these songs exist in a world with so much hatred. I suppose all I can do is continue sharing my favorite Beatles songs with others in the hopes that their inspiring messages can convince maybe one person not to do something terrible. Everyone reading this, do the same! It might make a difference. Also, there’s a new ELO album! Jeff Lynne, famous for not only ELO but also for producing The Beatles Anthology project and a few albums with George Harrison, is back in the public eye! I saw his performance on The Tonight Show recently and I was so happy that he performed both a new song and a classic, Mr Blue Sky. 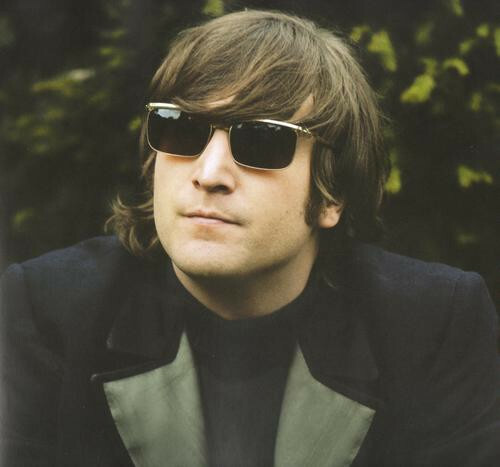 If there’s musician out there today not named Paul McCartney or Ringo Starr whose music truly captures the spirit of the Beatles, it’s him. Someone needs to get him into the Rock and Roll Hall of Fame ASAP, and I usually don’t care much about stuff like that, but it’s seriously about time Jeff Lynne was immortalized for his massive contributions to music. Before I wrap this up, I’d just like to say that it is extremely weird to be blogging from my dorm room and not the attic in my house. College is certainly a new experience, but I am trying to appreciate every moment, take advantage of opportunities that come my way, and remember the things I love that make me feel better whenever I’m down. Spoiler alert, one of those things is the Beatles. I almost forgot about this song until it came up on my phone the other day, but it truly is a gem from the Help! album and movie. Definitely yet another underrated Beatles song in their massive canon of musical creations. I really believe that I will not wait 11 months to blog again. It won’t happen. I will actually try to blog more regularly for the foreseeable future. Enjoy the holiday season everyone! Well hello, blogosphere! I realize that the last time I posted was around Thanksgiving, and I am very sorry it’s been so long. Today I wanted to talk about a few fantastic Beatle-related gifts I got over the holidays, as well as discuss a couple of new Paul McCartney songs that have been in the news recently. It’s truly amazing to me how Paul is over 70 years old, has been world-famous for 50 of them, and has accomplished basically everything under the sun, and yet he’s still motivated to create innovative, interesting music. I suppose that the drive and motivation that led him to be so successful in the first place has never really left him. Anyway, this holiday season was festive as always. I listened regularly to my favorite rock Christmas songs and sang along enthusiastically (while others cringed) when “Wonderful Christmastime” came on the radio. I’ve said it before and I’ll say it again, it may be the actual #1 most annoying Christmas song ever on some official lists, but I genuinely love it and will defend it until Santa tells me otherwise. I was lucky enough to receive a couple of really thoughtful, awesome Beatles-related presents that I wanted to share with you. 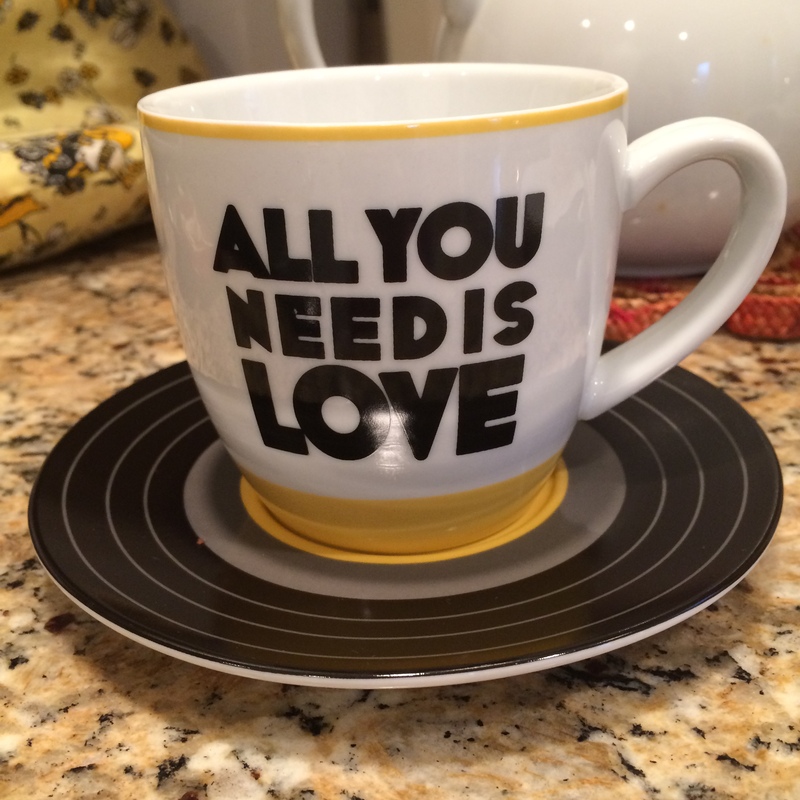 One was an adorable mug-and-saucer set, where the saucer looks like a record from the top and both say “All You Need Is Love.” I now have two Beatles mugs to rotate through while drinking tea. The more the merrier! As a secret Santa gift, I also received a fantastic Beatles Anthology-like book called “John, Paul, George, and Ringo: The Definitive Illustrated Chronicle of the Beatles”. I haven’t looked through the entire thing yet, but from what I’ve gathered, it’s basically like The Beatles Anthology but with more pictures and graphics, and not written by the Beatles. 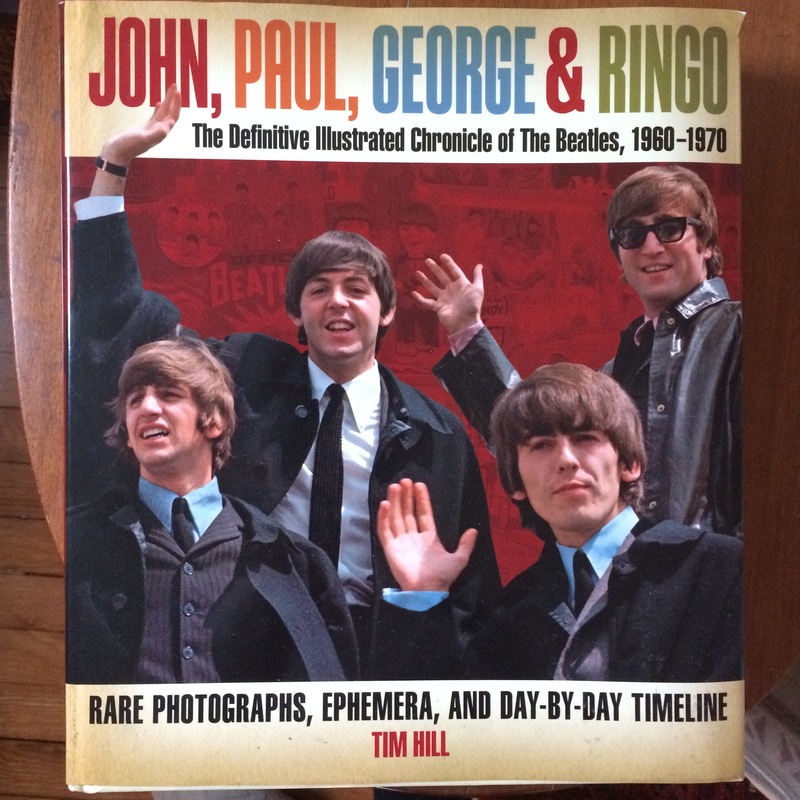 It’s definitely a valuable addition to my (admittedly small) collection of Beatles books. With that cover, how could I not be excited to read this?!?! 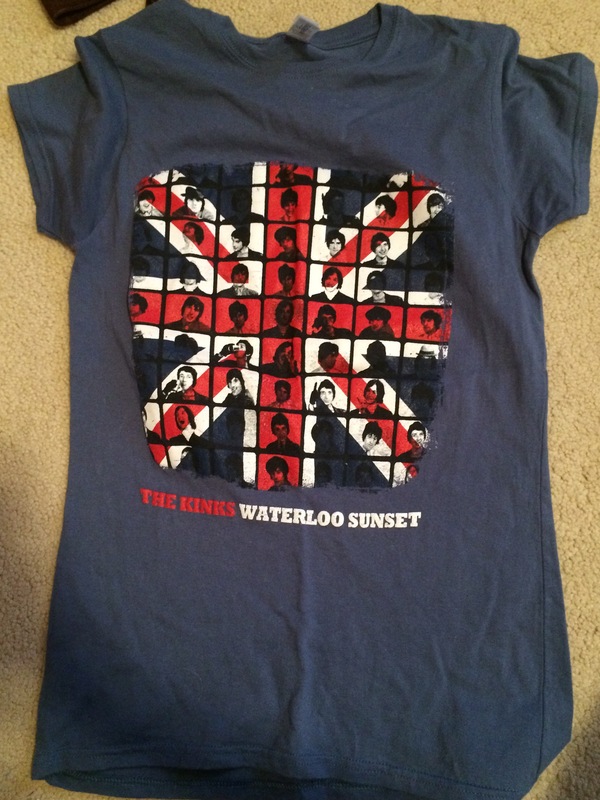 This isn’t really Beatley per se, but my parents were awesome and gave me a really cool Kinks shirt that I now sport proudly in addition to my many Beatles shirts. Although I think upon first glance, most people probably just think it’s a Beatles shirt and don’t inquire further. Oh well, I know that I’m wearing a Kinks shirt, and that’s all that really matters! I honestly didn’t even know they made Kinks shirts! In other news, Paul McCartney has released two songs recently that have caught the media’s attention. One of them was a collaboration with Kanye called “Only One” which, honestly, is better than I thought it would be. Still, the song is basically all autotuned-Kanye with Paul playing keyboards in the background. I respect that Paul enjoys collaborating with modern artists, but next time, I hope he does something more like that reuniting-with-surviving-members-of-Nirvana thing he did that resulted in “Cut Me Some Slack,” a fantastic rock song. 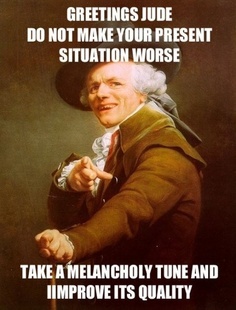 But aside from that, it’s really not a bad song. Another song Paul has released recently is called “Hope For The Future,” and it’s part of the soundtrack he did for a huge new video game called Destiny. This one I really like; it’s cool, modern, and edgy without being too overly experimental. Again, if doing stuff like this is where Paul is in his career right now, I’m completely in favor of that. As long as he’s still relevant to music and today’s youth in some way, he can basically do whatever he wants. After all, he’s Paul freaking McCartney. So that’s where my Beatley world is at right now. I’m not sure what my next post will be, but I can guarantee that it will be soon. Until then, have a fab week!